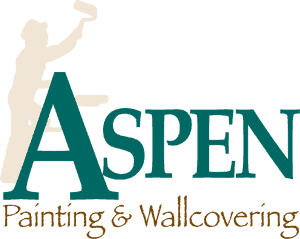 Aspen Painting is a professional painting company in an often unprofessional business. We at Aspen Painting know that your home is your most important investment. Who you select to work in and around your home is a very big decision, even though you might not think it is. The painter you select for this project will be in and around your home, for days and maybe weeks. They may have access to the interior of your home and as a result, access to your personal belongings. Most important of all, they will be in close contact with you, your family, friends, and neighbors. For all of these reasons, it makes sense to gather as much information as possible about any potential contractor you will use. It is not enough to simply take a painters word that they will do a good job. I would like to encourage you to get proof that backs up their qualifications for working on your project – this is time well spent. While no process is perfect, and painters can “fudge” on their qualifications, some process for selecting a contractor is better than no process at all. Here are some helpful information and questions you should ask prospective contractors in order to protect yourself from the non-professional or unqualified contractor before you accept a proposal from any painting contractor, even those recommended by a friend or family member. Did the contractor appear professional, knowledgeable, clean and neat? This is an indication of how he will treat your property. Take a look at the vehicle he is driving. If it is a work truck, take notice of its condition and ask to look inside it to see if it is kept orderly. Once again, this is a reflection of how your property will be treated. Do they conduct Background Checks of their workers? As mentioned earlier, the painter you select for your project will be in and around your home, for days and maybe weeks. They may have access to the interior of your home and as a result, access to your personal belongings. Hiring a painting contractor who does background checks on their employees can give you some peace of mind that the workers in and around your home are honest and ethical. Can they provide testimonials and good, up to date references? Don’t just take their word for it – read or listen to what their clients have to say about them. A professional contractor will be glad to provide you with names and phone numbers of recent customers. Ask about the skill level of the workers that will be in your home and how long they have been with the company. If you receive a rather low painting estimate from a company, most times the reason why is because they have inexperienced workers on the job that usually don’t stay with the same company very long. Ask for a current certificate on insurance. Look for liability and worker’s compensation insurance coverage. Inadequate insurance coverage could mean that your homeowner’s insurance would have to respond in the event of an accident or injury. If the accident exceeds the limits of your homeowner’s policy, you could be personally liable. Are they a member of their trade association and are they a licensed Home Improvement Contractor? Aspen Painting is an active member of the PDCA (Painting & Decorating Contractors of America) and our HIC number is PA089091. Do they provide a detailed proposal? Be sure to get a written contract outlining in detail the labor and materials to be furnished. When comparing bids be sure they are based on the same materials, specifications and workmanship. Obviously, you want to compare the number of coats and grade of materials, but particularly you should look for details of surface preparation such as: sanding, caulking, filling nail holes, cleaning, priming, etc. Do they guarantee and warranty their work? Investing in a painting project with Aspen Painting means that you will enjoy beautiful, protective finishes that will far outlast inferior ones. 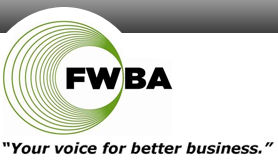 Do business with a professional because all painting contractors are NOT equal!